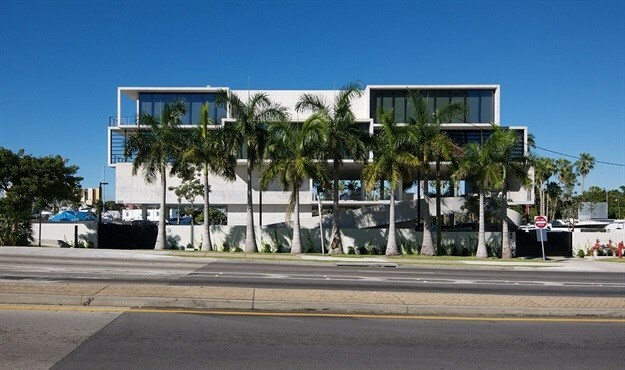 Oppenheim Architecture has completed a new office complex near the Miami River. The building comprises large shifted concrete volumes to provide a flexible office space and big open spaces throughout the building. 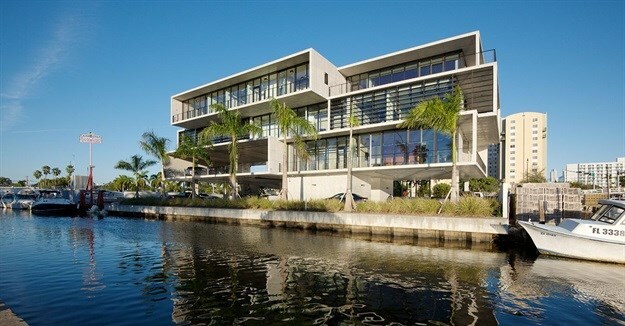 Commissioned by international engineering and construction company GLF Construction Cooperation, the company wanted from the architects a bold and contemporary facility to establish the firm's strong presence in Miami with a new company headquarters. 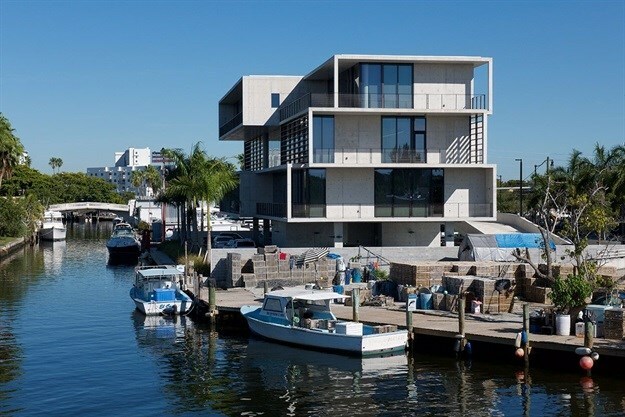 Taking cues from its adjacent context and scale - citing both the inherent industrial and nautical overtones of the location, Oppenheim Architecture designed a modest, simple but elegant building featuring large floor plates that allow user flexibility and evoke the feeling of open space. The new office building, which is in a deep harmony with its surroundings, reflects a smooth transition in its own context. Inside includes office and studio space, conference rooms, lounges, balconies and common areas that maximise both interior and exterior views. The four-storey structure resembles a stack of shipping containers – a common spectacle visible from the project site – strategically arranged to create large unique volumes and sheltered spaces that accommodate various uses.